If you’re seeking a unique, open, flexible floorplan in Asheville for your next festive occasion, look no further! The Orange Peel is the perfect spot for any special event! 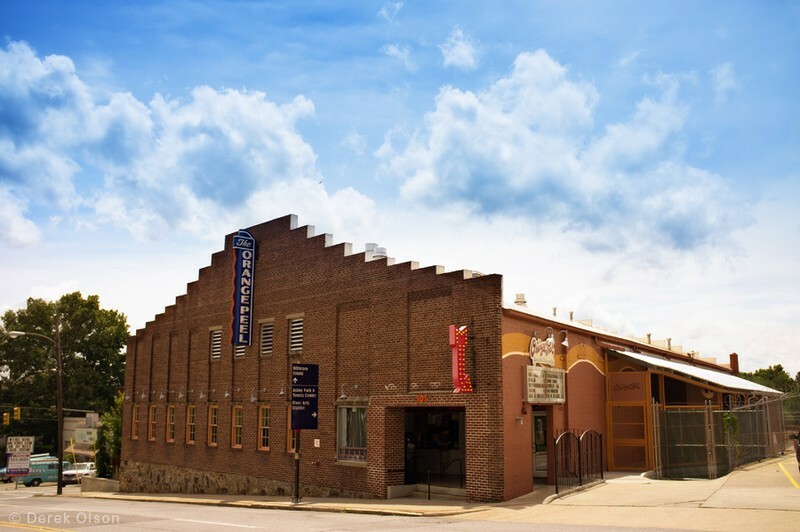 The Orange Peel offers you a beautiful space to hold your event, with a large hardwood dance floor area and tasteful “urban-chic” decor, conveniently located in historic Downtown Asheville. Events at the Peel offer you flexibility and value; we’ll work with you to create a party, reception, or private event or non-profit benefit or fundraiser that your guests will remember for years to come. The Orange Peel works best for parties of 100 people to 250 people, for seated affairs with buffet line or plated dinners. If you’re considering a smaller, more intimate party, PULP, our lower level private club, is perfect for small weddings and rehearsal dinners of 80 guests and under.